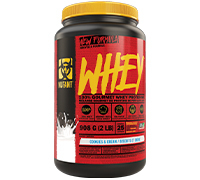 Fast becoming regarded as the ULTIMATE whey protein blend, new MUTANT WHEY is a unique 5-Stage Whey Protein that triggers noticeable muscle growth and increases nitrogen retention. Yes, whey protein helps you grow – but MUTANT WHEY helps you grow BIGGER and FASTER. New MUTANT WHEY has been developed after 28 months of dedicated research. It is the world's first protein to use specially selected proteins, each with their own unique uptake rate. This 5-Stage Whey Protein allows each source its own unique delivery to the limited number of protein receptor sites in your digestive system. What does this mean? 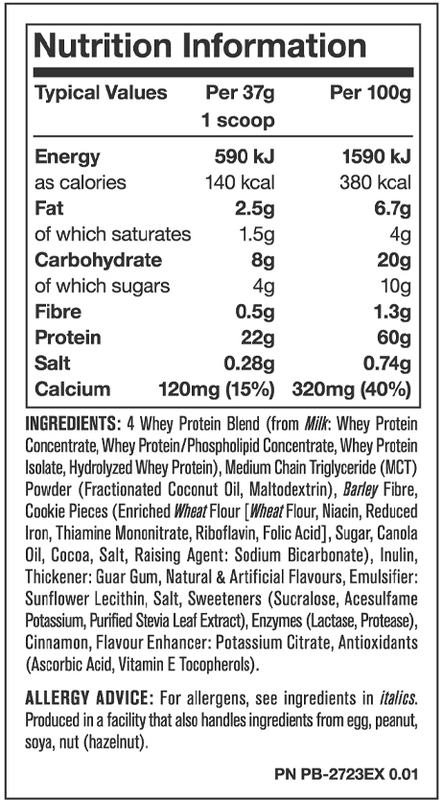 It simply means no wasted protein – 100% whey uptake! Each of the 5 whey protein sources are 100% complete and rich in anabolic BCAAs and Glutamine to help speed recovery. Produced in our own federally inspected GMP (Good Manufacturing Practices) licensed facility. GMP protocol is utilized in food, pharmaceutical and medical device manufacturing. This guarantees you, the finest quality, and safety, in every batch of MUTANT WHEY. We also go beyond just GMP. Our federally inspected plant also performs EXTRA safety tests (e. coli, salmonella, lysteria, and other harmful pathogens) that no other whey protein routinely tests for. And on top of even that, we further own an additional export license (which allows us to export directly to over 85 other countries) which requires us to perform even MORE testing. We are the ONLY facility that follows all these procedures and possesses all these licenses and permits. Note: Values may be slightly different depending on flavour. Normal usage: Mix 2 level scoops with 250-450 mL of cold water, shake vigorously for 15-25 seconds, and slug is back! Mutated usage: Mix 3 level scoops with 500 mL of cold water, shake vigorously for 15-25 seconds, and slug is back!